After a complete home remodel, these clients had the kitchen of their dreams. 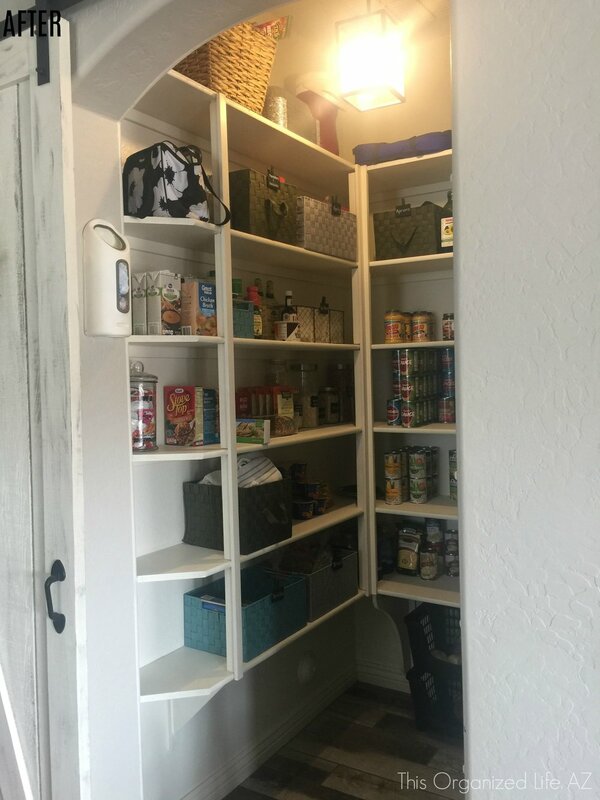 Going from barely more than a linen closet, their pantry was enlarged significantly. With the remodel completed the day before Thanksgiving (! ), well-meaning family members unpacked moving boxes. 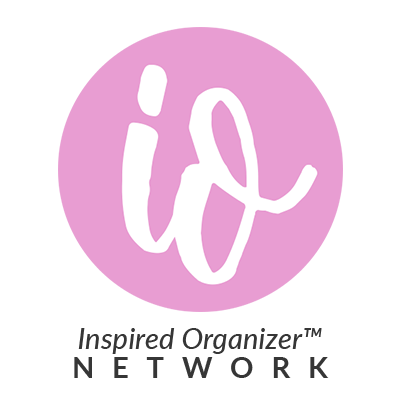 Although everything was placed in the pantry, the client felt like it "didn't vibe." 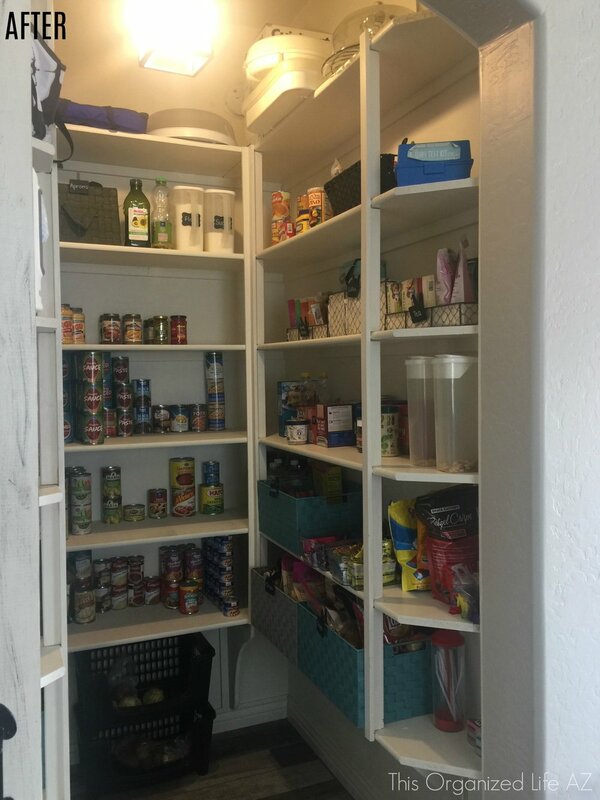 Along with this wish for the pantry to flow better, the client also wanted to make sure her large supply of canned goods were rotated regularly and used before their expiration date. Working together, we assigned each shelf a purpose or function. We tried to keep the location of the most frequently used items, i.e. breakfast foods and snacks, the same, in order to ensure a smooth transition for her family. The result is a high-functioning space which aesthetically fits in with the rest of this beautiful home.